A new human antibody therapy has managed to beat back HIV for over two months, keeping the virus stifled without suppressive drugs. Scientists believe that a regular use of this antibody could repel the virus for even longer. Last year, this neutralizing antibody, called 3BNC117, gave hope to both scientists and patients after it showed some very promising results in the first human trial. This time, a team of US and German researchers have broken new ground. They have managed to nearly double the time that HIV remained suppressed in patients. As of now, all HIV-infected people must take a cocktail of antiretroviral drugs every day to make sure that the human immunodeficiency virus stays at bay. In cases where treatment is interrupted, the virus comes back with a vengeance in about 18 days. 3BNC117 has now extended this “delay” from two and a half weeks to over two months. 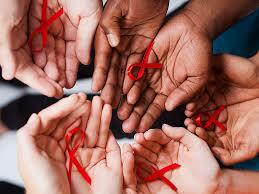 The scientists have tested the antibody on 13 people, aged 18-65 years, infected with HIV-1. The study participants were divided in two groups: A and B. In both groups, patients stopped taking their suppressive therapies two days after receiving their first 3BNC117 infusion. In each case, the dosage was calculated individually, depending on the patient’s weight. ‘Group A’ patients received two 30 mg of 3BNC117 per kilogram of body weight, while ‘group B’ participants got up to four such infusions at two-week intervals. During the study period, all of them got the neutralizing antibody on days 0 and 21, or 0, 14, 28, and 42. “The infusions were associated with a delay in viral rebound for 5-9 weeks after 2 infusions, and up to 19 weeks after 4 infusions, or an average of 6.7 and 9.9 weeks respectively, compared with 2.6 weeks for historical controls,” the researchers wrote in a letter published in Nature magazine. “We conclude that repeated infusions of 3BNC117 are generally safe and significantly delay HIV-1 rebound from the latent reservoir during ATI,” the team wrote. The molecule of 3BNC117 was cloned in the lab from a powerful natural antibody produced by about 1 percent of humans infected with HIV.